We know where we’ll catch the new “Star Wars” movie next month. 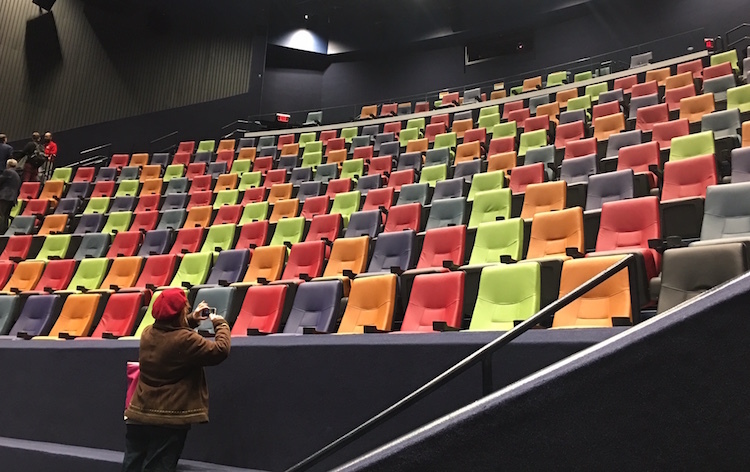 The new 2D/3D Rangos Giant Cinema — the most technically advanced theater in Pittsburgh — opened today at Carnegie Science Center and it’s a beaut. The theater features a 70-by-38-foot Certified Giant Screen, a mindblowing 45-speaker Dolby Atmos surround sound system, and super clear images with brilliant colors conveyed in dazzling detail by 4K laser digital projectors. Pop on a pair of 3D glasses, as we did, and it’s an in-your-face experience not to be missed as lifelike images jump off the enormous screen, which seems to be just mere feet away. “It’s truly the future of cinema,” said Ron Baillie, co-director of Carnegie Science Center. At the grand opening this morning, media and others were treated to various previews of coming attractions, including “Star Wars: The Last Jedi,” followed by “The Amazon Adventure,” all of which clearly conveyed the powerfully immersive theater experience. The Rangos Giant Cinema features an immersive theater experience with super cool seats. Photo by Tracy Certo. Take note: it’s not just for kids. “We can now offer a broad range of dynamic content,” said Baillie, including Hollywood feature films, 3D educational movies, multimedia lectures and live cultural events. 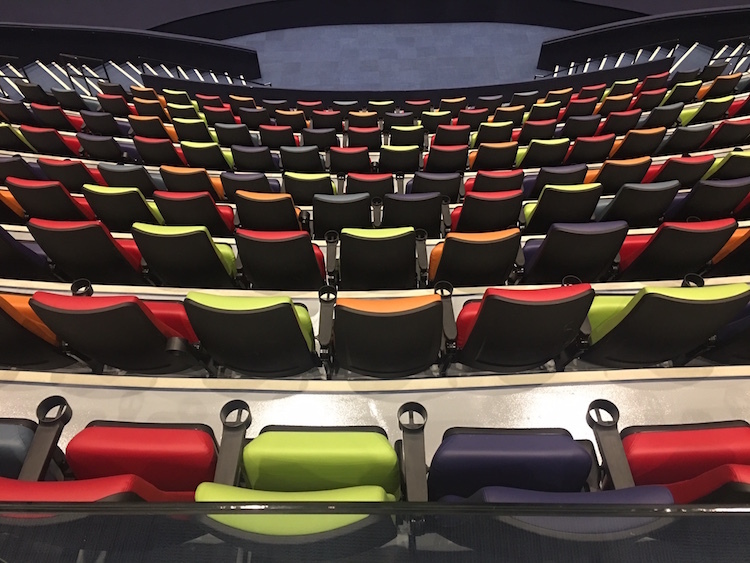 All that while viewers can enjoy very comfortable, multi-colored seats with cup holders. “Amazon Adventure 3D” is now playing, and coming soon, “Star Wars.” Tickets are on sale now. 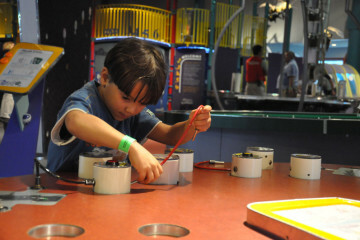 There’s more to come at Carnegie Science Center when the new PPG Science Pavilion opens in June with nine learning labs and a two-level traveling exhibition space which will allow blockbuster exhibits, some of which are eluding Pittsburgh now, said Ann Metzger, co-director of Carnegie Science Center. The expansion also includes a conference and event space with outstanding views of the Pittsburgh skyline.